As mentioned in my last post, here are a selection of headlines from regional and local newspapers collected during my travels. 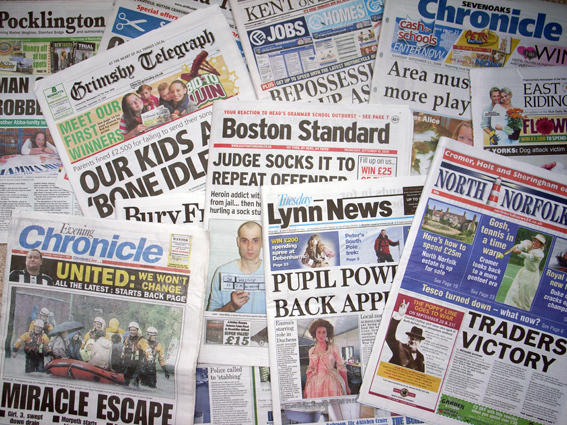 They come from a variety of free-sheets, daily and weekly newspapers. I’ve only quoted the main headline and not the subtitle. They are in date order. This entry was posted on Monday, September 22nd, 2008 at 9:01 pm	and is filed under RESEARCH. You can follow any responses to this entry through the RSS 2.0 feed. Both comments and pings are currently closed.